“He is a great professional, honest and talented. I would recommend Dr. Alejandro and the Elaen staff for anyone consider plastic surgery in Mexico.” — Pat R.
The top plastic surgery clinic in Mexico is offering individuals the highest standards of medical excellence and professionalism. 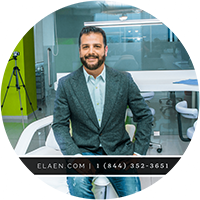 Eláen Plastic Surgery and Hair Transplant Center comprises of a team of plastic surgeons who have an extensive background in the medical community. 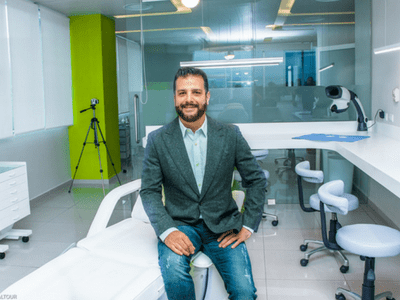 Lead surgeon, Dr. Alejandro Enriquez de Rivera Campero, is highly educated and widely known in the medical and plastic surgery communities in Mexico, Canada and throughout the United States. Behind his extensive experience with plastic surgery of the face, body, and breasts — Dr. Alejandro is able to use a combination of innovation and artistry to create beautiful, individualized results. Arm Lift surgery at eláen helps to remove unappealing, sagging skin on the upper arms. Aging, genetics, and weight loss can have a significant impact of the appearance of our arms. Dr. Alejandro considers arm lift surgery to be a safe, prevalent cosmetic surgery procedure designed to create stunningly toned arms. Following Armlift Surgery Mexico, patients will wear a long-sleeve garment for 14 days. At the leading plastic surgery center in Mexico, we do not use drains for Armlift surgery.